Posted by Tantumblogo in Basics, different religion, disaster, disconcerting, error, General Catholic, Papa, scandals, secularism, Society, SOD, the return, the struggle for the Church. You said a phrase that I underlined and took note of: “that we might know how to welcome and accept the one who thinks differently than us.” Truly, sometimes we are closed in. We shut ourselves in our little world: “This is either the way that I want it or we’re not doing it.” And you went even further, “that we don’t close ourselves into the ‘little convents’ of ideologies or in the ‘little convents’ of religions. That we might grow in the face of individualism.” [Submitting to the Doctrine of the Faith is the opposite of individualism. ……..And I, Cuban young people, though you think differently from each other, though you have your own points of view, I want you to go along accompanying each other, together, seeking hope, seeking the future and the nobility of your homeland. We began with the word hope and I want to conclude with another word that you said and that I tend to use a lot: the culture of encounter. [Groovy, man] Please, let us not have “un-encounter” among us. [Yeah, that would, like, be a total drag] Let us go accompanying each other, in encounter, even though we think differently, even though we feel differently, but there is something bigger than us, which is the greatness of our people, which is the greatness of our homeland, which is this beauty, this sweet hope for the homeland to which we have to arrive. I think the bit about people failing to “give work to youth” is quite revealing. First of all, governments don’t create jobs, vibrant economies do. Secondly, it reveals a fundamentally socialistic, or at least progressive, outlook to demand that people be “given” jobs. I don’t believe in that. I love this bit from the John Wayne movie McClintock! below, beginning at 21:00, where a young farmer new in town hits up John Wayne for a job. I think Wayne’s response really dead on. Aid in the form of “handouts” are certainly necessary for many at various times, but if relied upon for a long period of time inevitably poison one’s sense of self-worth. Ask anyone who volunteers at food banks or similar places about how folks who have relied on such aid for long periods of time frequently become very demanding and unappreciative. The same mentality is operative when one speaks of “giving” jobs to youth (and this is not the first time Pope Francis has used this language). Certainly the destructive effects of lavish, unaffordable welfare states and incredibly stagnant economies unable to cause new job creation even among Europe’s very few young people (relatively speaking) are very bad things. But the language of the speech seems to operate from the very mentality that gave rise to this unproductive form of political-economic system in the first place. It’s not about “giving” jobs to the young, it’s about the young being able to find positions to fill where they work an honest day for a fair wage. This may sound like semantics, but words have meaning and I think these words are very important. All in all, I really do wish this Pope would be afflicted with severe laryngitis for the rest of his pontificate. Is that bad? Posted by Tantumblogo in awesomeness, Basics, catachesis, General Catholic, Glory, Grace, Interior Life, mortification, sanctity, Tradition, Virtue. Sloth consists in shunning everything that conduces either to our temporal or eternal well-being, provided it be toilsome. Sloth displays itself either by indolence, dislike of work, and the non-fulfillment even of the duties of one’s calling; or by tepidity in and indifference to what is good and conducive to one’s spiritual welfare. The slothful man displays distaste for all good works. We find life and movement and activity in all nature; the celestial hosts laud and magnify the Most High continually…..the tiny ant lays up a store in summer, the busy bees make honey and do not suffer drones to live; and shall man alone be a be an idler, an exception to all creatures whom instinct teaches to abhor idleness?……...The indolent postpone all work to a future day, and only pursue sensual pleasures. Tomorrow, tomorrow, not today, is their cry. The lukewarm Christian wills and does not will; he would fain have the wages God gives, but he will not work for Him; as soon as it is a question of putting force upon himself he shrinks back. Yet the slothful think they do more than others, for while the fervent look at those who do better than themselves, to learn humility, the slothful on the contrary look at the good, not in others, but in themselves. [And if you’re anything like me, you might exaggerate that good quite a bit! I really think this is a bit of particular wisdom here on the tendency for our fallen natures to try extol ourselves relative to others in terms of how much work we do. We all think we’re the little red hen] Hence the slothful never attain perfection. Great sinners have been known to become great saints, but the lukewarm, never. Idleness leads to all kinds of vice; it brings misery in this life and eternal damnation in the life to come. Those who are inclined to indolence should think frequently of the reward, both temporal and eternal, of industry, and thus they will overcome their distaste for work. “Look not, O Christian,” says St. Augustine, “on the labor that it costs thee; look rather to the rest and the joys which God promises thee; see how infinitely they outweigh all thy toil.” “In doing good, let us not fail; for in due time we shall reap, not failing” (Gal vi:9). I haven’t quoted from this 19th century Catechism for some time. I have a lot of material I’d like to pull from it but these posts take quite a bit of effort. This catechism is a gem, though. I have some quibbles with a few points but 99% is rock solid. I highly encourage its use for personal edification or, perhaps especially, for forming older (teen) children. Posted by Tantumblogo in asshatery, Dallas Diocese, disaster, Ecumenism, error, foolishness, General Catholic, horror, paganism, pr stunts, rank stupidity, scandals, Society, unbelievable BS. Authorities say a man who was arrested for making threats against an East Texas church, allegedly did so citing God as the reason for his actions. On Sunday at 2:10 p.m., the Cherokee County Sheriff’s Office received a call from the Corinth Church located on FM 346 near Lake Palestine. The caller said an unknown black male was wearing a camouflage helmet, camo pants, tactical vest and boots entered the church around 2:00 p.m. The caller also stated they could see what appeared to be a pistol in his pocket. The man was later identified as Rasheed Abdul Aziz, 40, of Flint. According to the Cherokee County Sheriff’s Office, witnesses said the suspect appeared distressed and stated he was a man of Islam, and that God had told him to “slay infidels.” Several parishioners brought Aziz into a room away from others at the church while another person called the Sheriff’s Office. Before law enforcement arrived at the scene, Aziz left the church and headed north on FM 346 into Smith County. Cherokee County Sheriff’s Office notified Smith County and Cherokee County deputies remained in the area in an attempt to locate Aziz, who was not found……..
……At around 8:20 p.m. Smith County reported they had Aziz in custody, resulting from a call they responded to on Beautiful Hills Drive in Flint, Texas. According to the Smith Count Sheriff’s Office, the suspect was found inside thte Pine Trail Shores subdivision. Aziz was arrested with an illegally-acquired Taurus 9mm pistol and what appears to be at least two 12-rounds magazines and 70 rounds of ammunition. Of course, the media ran away from this “jihadists gone wild” story, quite contrary to both their coverage of an insane attack on a black church in Charleston earlier this summer. So not only did the kid just take an old alarm clock out of its plastic case and call it an “invention” (which might be expected from a bright 7 or 8 year old, but a 14 year old?!? ), he added other wires and features to make it look more threatening. Like a “device.” A potentially explosive device. This whole flap is smelling more and more to me like a set up from the beginning. His father is a long-time rabble-rouser and frequent candidate for the presidency of Sudan. They have been politically active here in the US. For crying out loud, his father’s trucking company is named “Twin Towers Transportation,” an obvious cheap shot and deliberately provocative name. Irving is of course my hometown and also a city that imposed restrictions on a nascent sharia law court, one of the first of its kind in the US. I have to wonder if this incident wasn’t a bit of fabricated agitprop to help smear Irving as an anti-muslim town and undermine the city’s stand against the sharia law court. It would hardly be the first time we’ve seen astroturf and kabuki theater like this. Posted by Tantumblogo in Basics, different religion, disaster, episcopate, error, General Catholic, Papa, scandals, secularism, self-serving, sexual depravity, sickness, Society, SOD, the struggle for the Church, Tradition. Some wisdom from traditional Catholic Patrick Buchanan, as he diagnoses the primary problem afflicting this nation’s sudden and seemingly terminal decline: government repudiation of Christianity under the influence of radical Christ-hating leftists. 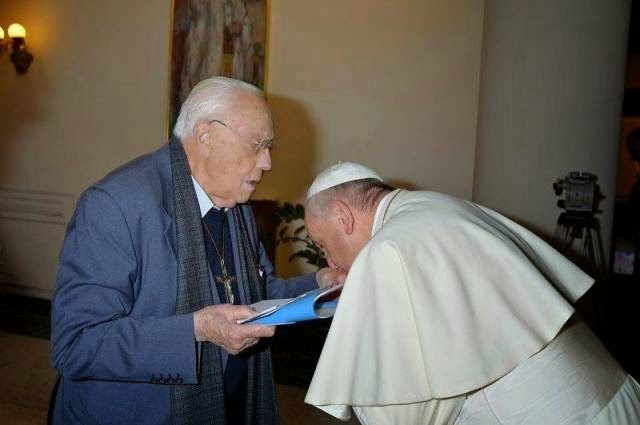 He also points out the role the collapse of the Catholic Faith has played in this process, and especially its sudden doctrinal nose-dive under Pope Francis. Lots of good stuff below, read it all here. I’m going to stop and throw my yellow BS flag for a bit of exaggeration here. China continues to persecute Christians most horrifically. This promotion of Confucianism is actually a ploy to set up a controllable religion amenable to an authoritarian state, in competition with Christianity. The only heartening bit is that the atheistic communists must be getting a bit desperate to resurrect this religion. It certainly appears so. Somehow while defeating the communists on the nation-state level, the Left has been overwhelmingly successful in the war for individual hearts and minds. I am mortified by the degree to which younger people today have been thoroughly indoctrinated in leftism. The leftist march through the cultural institutions of the West has been their single greatest success. Today they appear poised on the precipice of some kind of victory, even as the countries that have shaken off the communist yoke generally run as much as they can in the opposite direction. On some levels this success appears shocking, but when one recounts how Christianity has been vilified and driven from the cultural sphere by the leftist elites (politicians, entertainers, media, academia, etc), this outcome appears inevitable. What is even more shocking is the degree to which leftism – the Revolution – has penetrated what was always its gravest enemy and final bastion of resistance, the Catholic Church. The importance and ramifications of this penetration, both within the Church and in the world at large, cannot be overstated. 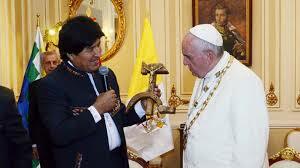 Most clergy, bishops, and laity who claim the name Catholic are now avowedly hard left wing. We have all the evidence we need of that in the sudden and triumphant renaissance of the modernists dating from March 2013. Where this will end is anyone’s guess, likely not until Russia is finally and properly consecrated, but in the meantime it seems that we face the inevitability of unprecedentedly dark times. We had better be prayed and penanced up. Posted by Tantumblogo in abdication of duty, disaster, error, Flightline Friday, foolishness, paganism, rank stupidity, secularism, self-serving, sickness, Society, unbelievable BS. As the Obama Administration destruction of the US military continues, Navy Secretary Ray Mabus has decreed that all combat positions shall be open to women. The Marines have stolidly resisted, and got Mabus to agree to a test to see how mixed-gender combat units performed compared to all-male units. The results were disastrous, with the even the very best women the Marine Corps has to offer – a truly picked group – equaling the performance of the bottom 5% of men in the Corps. The mixed-gender unit performed more poorly in 70% of 139 tested categories and only out-performed the all-male unit in a handful of duties mostly related to record-keeping and other administrative tasks. In spite of this result, Mabus has decreed that having women in combat is an unalloyed good that simply must happen, the results be damned. A Marine hero blasted Navy Secretary Ray Mabus’ for claiming that Marines studying women in ground combat with the wrong mindset essentially caused women to drastically underperform in the gender integration experiment. Sergeant Maj. Justin LeHew, senior enlisted adviser with Marine Corps Training and Education Command, the command in charge of the study, wrote a public post on Facebook saying that the Secretary’s comments were not only unfair to the women in the experiment, but run counter to national security interests. …… In regards to the infantry… There is no trophy for second place. You perform or die. Until that happens, we should not even be wasting our time even thinking about opening up the infantry to women..
That’s a great point, and reveals a fundamental tenet of feminism that is often overlooked: it’s all about maximizing opportunities and options for women while simultaneously minimizing them for men. That’s not the pretty rhetoric women put out in public, but as RS McCain has shown in over a year’s worth of detailed study of “hidden” feminist rhetoric that goes on in the “women’s studies” degree plans on campuses around this nation and within the feminist milieu, it’s really about female superiority and the attempted subjugation of men to a distinctly second-class role. The most crazed feminists these days make no bones of their abject hatred for all men (as in, there are NO good men, it is impossible for a man to be good, etc) and their avowed lesbianism, either. These women constitute the deranged but incredibly influential outer edge of the feminist movement, a movement that hides it real objectives and desires from the general populace while seeking to garner political influence to eventually enact their misanthropy in law. This case of the Marine Corps is just one more adventure in that regard, the feminists calling for women in combat roles and influencing the Obamination to force this insanity on the military loathe the armed services and would never condescend to volunteer themselves, but they demand women unequal to the task be put in danger in order to satisfy the radfem’s unquenchable need for validation and ego-stroking. Good men and women will unnecessarily die as a result, and this nation will offend God in yet another respect. I say that because I do not believe the God of Armies wants to see women in combat (save in some kind of nightmare necessity). One can easily envision the horrors that will result. One direct and very certain consequence is that combat units will now experience huge shortfalls in their order of battle as women assigned to combat slots get medevaced out part way through their tour, either due to pregnancy (occurs to 30-40% of women on Navy ships) or inability to bear the load. That has already led to those left behind having to pull double-duty to make up the missing personnel. It all makes me sick. I saw a video recently of an Air Force Security Policewoman performing security outside an ICBM silo in North Dakota. That woman little girl was probably 5’2″ and 220 lbs. She couldn’t run 3 miles if her life depended on it. What a total joke. Posted by Tantumblogo in Basics, General Catholic, Glory, Grace, Interior Life, Liturgical Year, mortification, sanctity, Spiritual Warfare, Tradition, Virtue. Just in time for the Pope’s visit to the US, a brief penitential season! Coincidence?!? I think not! The Fall Ember Days start tomorrow 09/23/15! You know the deal, Wed and Sat are days of partial abstinence (max. 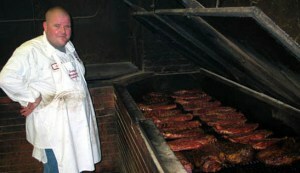 one meal with meat) and fast (one full meal and two snacks, at most), while Friday is full abstinence (no meat). 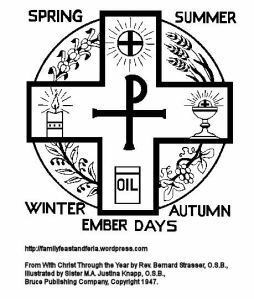 If you want to know more about the etymology of the Ember Days, click here. Ember Days are part of a large number of former penitential and devotional practices that were once universally observed but were gradually downplayed more and more over the course of the 20th century, especially after VII, naturally. But these days to consecrate the various seasons to Our Lord are very meritorious and worthy of embracing. They help connect one better to the flow of the liturgical year, for one thing, and they are also opportunities for some badly needed exercise of penance and self-denial in this culture of super-abundance. I pray you have a very holy and edifying Ember Week! I plan to offer my sufferings for the Synod and the Holy Father.